When your users will open theirs Microsoft Outlook 2007 for the first time in 2013 year they will see that Outlook 2007 has holidays until the end of 2012, and in 2013 they don’t have any holidays. If you have users workaholic – they won’t complain. This situation is caused by Microsoft Outlook 2007. 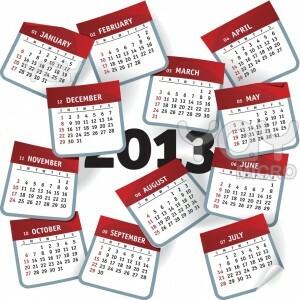 When it was released it included only calendar holidays till the end of 2012. Now when you want to still use Outlook 2007 you have to download and distribute a new “Holiday file” to your users. You can find such file in internet. Remember that holidays are added to a users Calendar by Microsoft Outlook and not Exchange Server. When you crate mailbox and for the first time you will login using OWA then you will see that mailbox calendar is empty – no holidays. But after you open you mailbox using Microsoft Oultook, all holidays will be added to mailbox calendar by outlook and then you can see them in OWA. Then users have to open Outlook, and go to Tools, Options, Calendar Options, Holidays. Select the country (or countries) that has the holidays you want on your calendar and import. If you are using Microsoft Outlook 2010 or 2013 you don’t have to worry. Tagged KB2687329, Outlook 2007, Outlook holidays for 2013, Outlook.HOL. Bookmark the permalink.